Tons of seafood is collected at Tsukiji fish market. Although even tourists can enter the inside, it’s under conditions like you can’t touch fish and so forth. 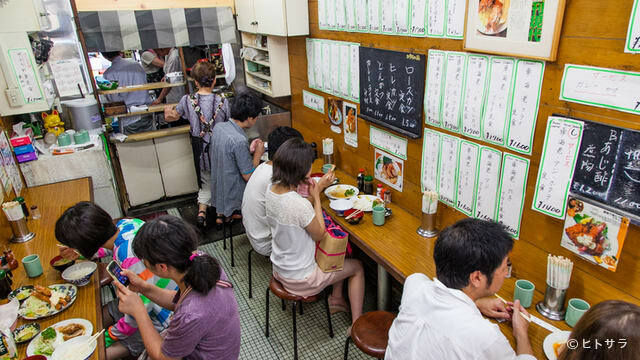 At the inner market, one of the popular restaurants for breakfast is “Ton-katsu Yachiyo” where you can get　roast pork with egg and various menu. This article will show you the restaurant. When it comes to Tsukiji fish market, sushi is the specialty. But “Ton-katsu Yachiyo” tells you that that is a stereotype. 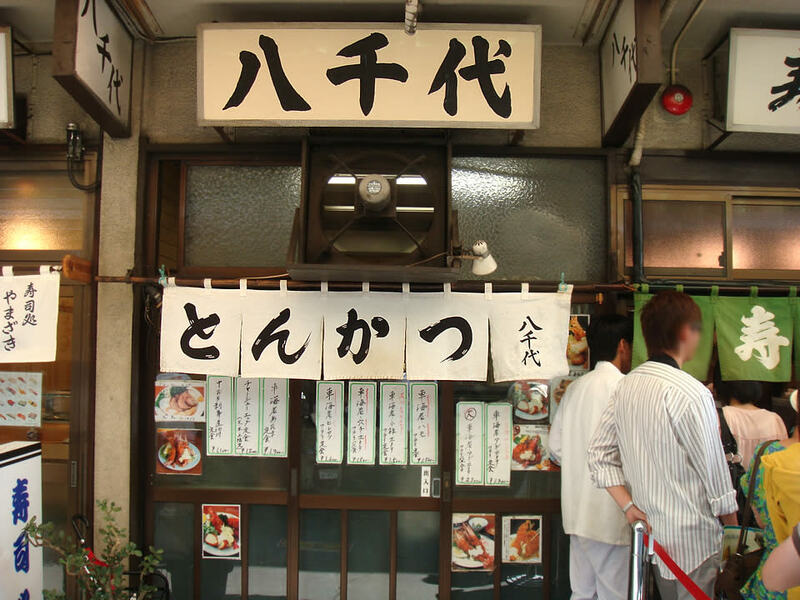 This restaurant mainly sells Ton-katsu, a fried pork cutlet. Especially their “roast pork with egg” is so popular. Because this restaurant is inside inner market, it can be filled to capacity even at 7 am. Those who want to eat breakfast early in the morning come and try their Ton-katsu at this restaurant, which sometimes TV reporter comes and broadcast. “Ton-katsu Yachiyo” has 80 years long history. So to speak, this restaurant has grown with Tsukiji itself. Their experienced food skill is so high quality. Especially fried stuff such as “fried seafood” is so delicious and many people come to eat as breakfast. They are so particular about the ingredient that they must get them at Tsukiji fish market. 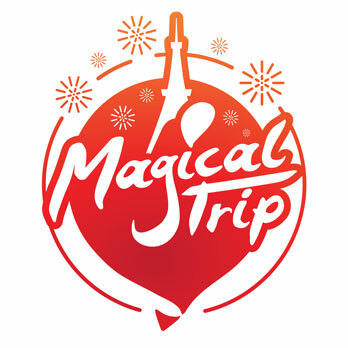 Their particularity and experienced skill are the source of this restaurant’s popularity. When you order this set meal, you can get roast pork and egg at the same time. Especially the taste of roast pork is so rich and you must love it! It’s best with a bowl of rice. Because this menu is only for Tuesday, Thursday and Saturday, please check out the date beforehand. “Flied Prawn”, You Can Enjoy the flavor of a Wild Prawn. 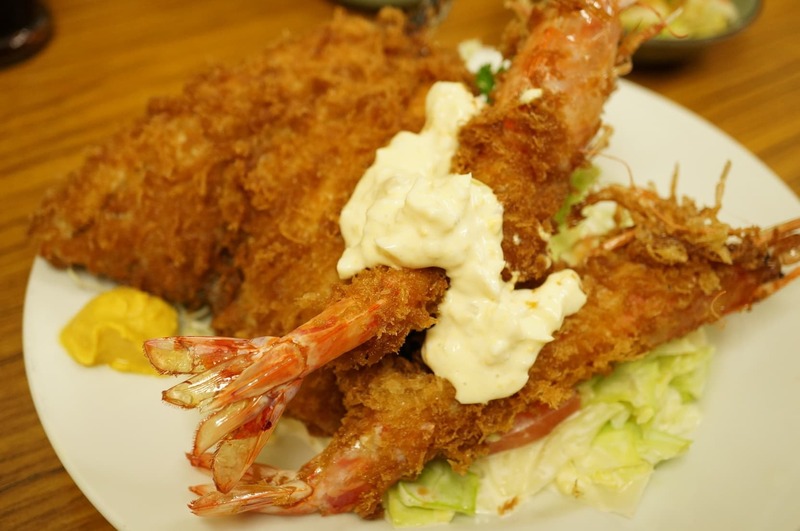 Flied seafood is as popular as roast pork with egg at Ton-katsu Yachiyo. This food is a flied raw prawn, with which a lot of experienced skills are used. 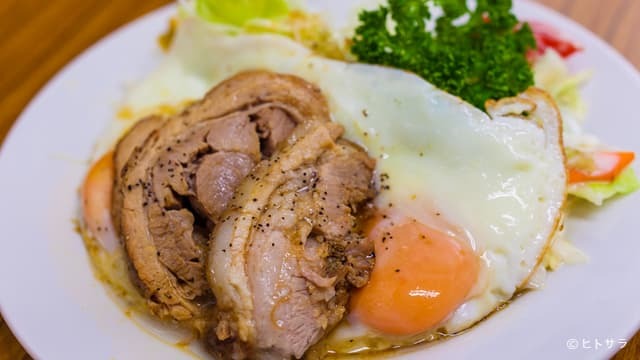 If you also want to try roast pork with egg, there is a set menu.